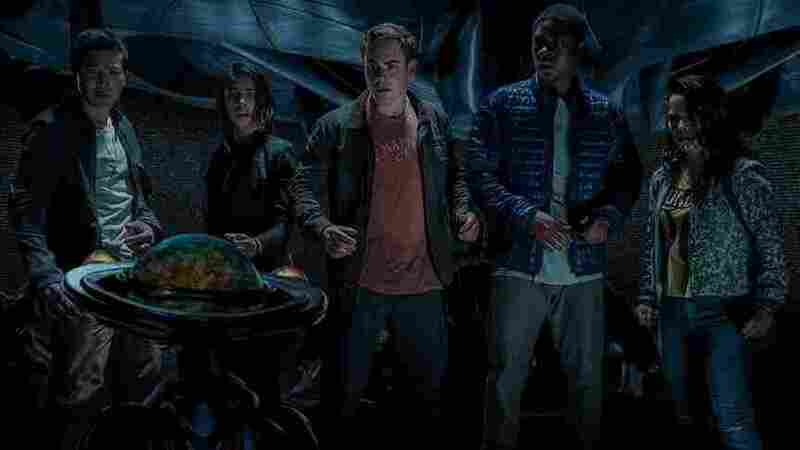 In The Agreeably Schlocky 'Power Rangers,' 'Transformers' Meets 'The Breakfast Club' "Go, Go Power Rangers!" - but should you? The film's playful, earnest tone and "gung-ho chintziness" slowly won critic Scott Tobias over. Zack (Ludi Lin), Kimberly (Naomi Scott), Jason (Dacre Montgomery), Billy (RJ Cyler) and Trini (Becky G) check the time, to determine if conditions are yet favorable for morphin', in Power Rangers.